Hello beautiful friends! I am well on my way to filling my booth back up after the sad state I left it in for several months after our big move. What my booth is still desperately lacking though are smalls. 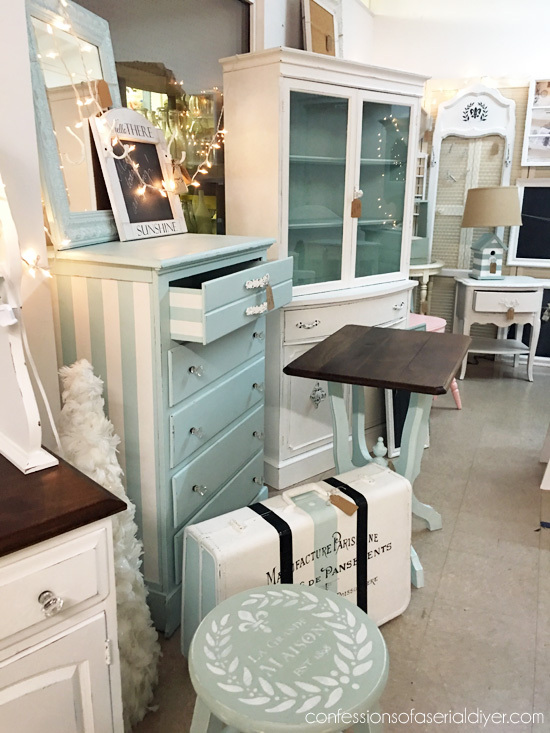 Smalls are all the little things that help keep sales going when shoppers aren’t in the market for furniture. I just can’t seem to keep them. Every once in a while I will go rummaging around in my stash and pull out a bunch of things that only need a quick paint job and go to town. I don’t normally share them here because they aren’t usually very exciting makeovers. Some of these items have been hanging around for more than three years! I am splitting this into two posts because I ended up editing almost 60 photos! I will share the other half on Tuesday! 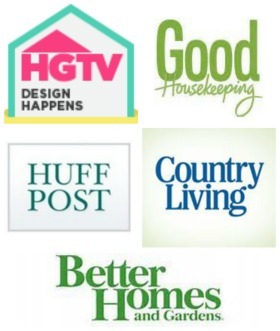 I’ve included a few affiliate links so you can find the products I love! I loved all the amazing details on this pair, but not the finish on them so much. I did this just to get a quick first coat on there, and I did this with most of these small items I redid. I sanded them here and there with 220 grit sandpaper and sealed them with Rustoleum clear matte spray. I love this sealer by Plaid as well, but I was out of it. They look so pretty with their new white paint! I love how detailed they are! The little drawer is perfect for holding nail files, clippers, etc. As you can see I ended up turning it into a chalk board since the mirror had a few scratches. This would be so cute in a girl’s bedroom! 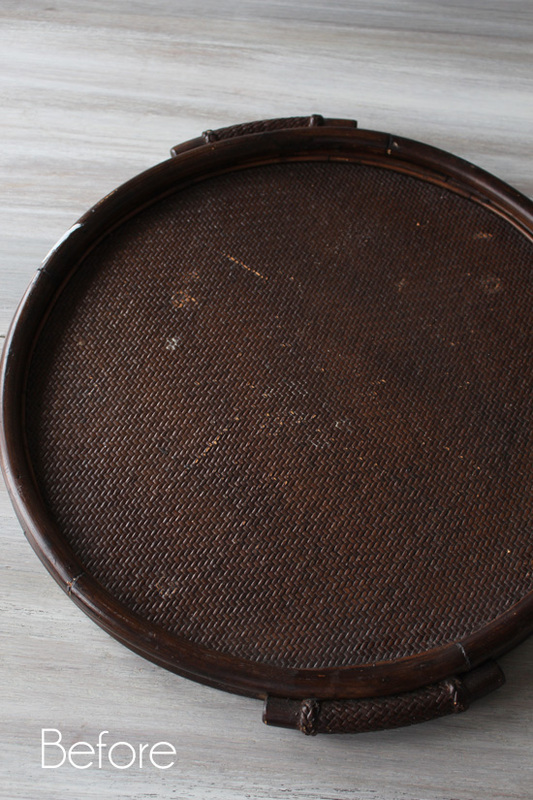 See how I make chalkboards HERE. I loved the vintage feel of it. It turned out to be quite cute in its coat of white! We usually use paper towels for napkins at dinner, otherwise I might have had to keep this one! 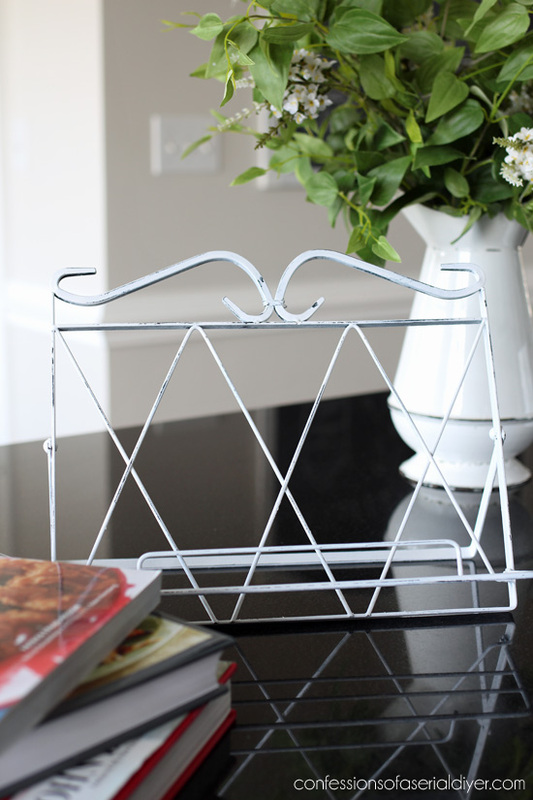 I was in search of a cookbook holder and had been keeping my eyes open for one for forever when I spied two at the Goodwill. I bought them both to see which one I preferred, and then the following week, I found two more in the same Goodwill! How funny is that? So of course I bought those as well lol. I figured I would test them all out and see which one worked the best. My Mom claimed one of them right away. I loved it after I painted it though! 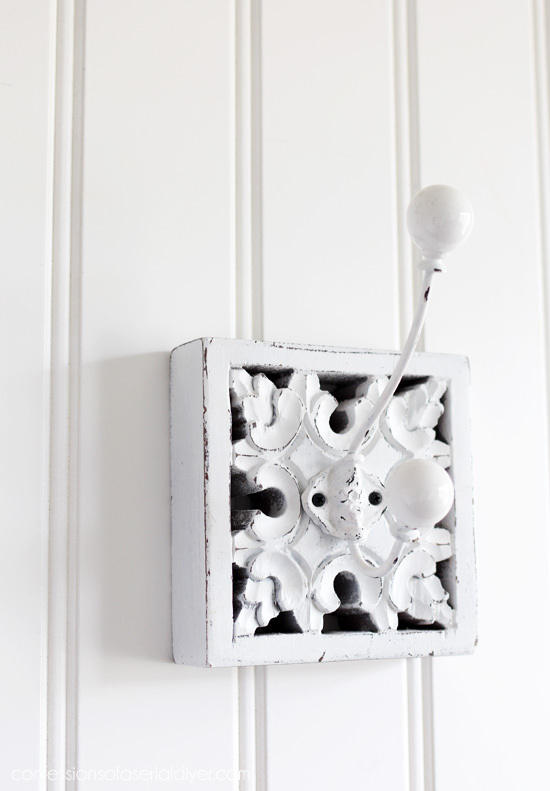 I painted this the same way…spray painted the first coat, and handpainted with chalk paint the second coat. 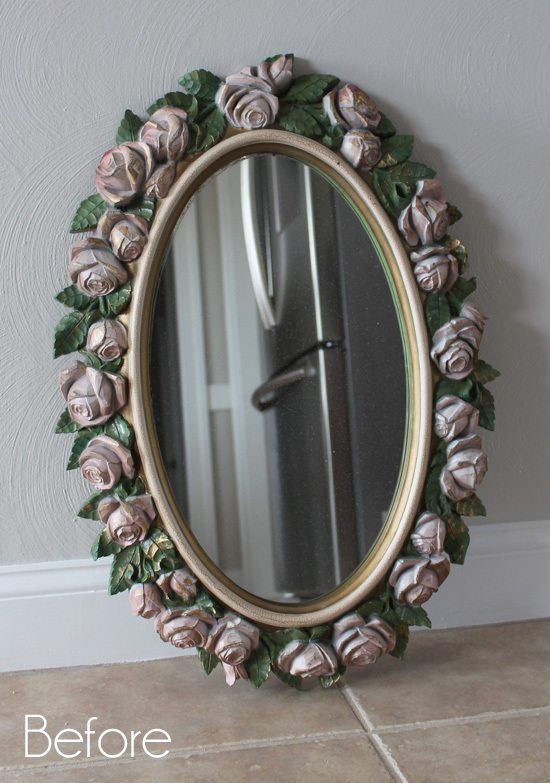 Again the chalk paint just gives it such a nicer texture. 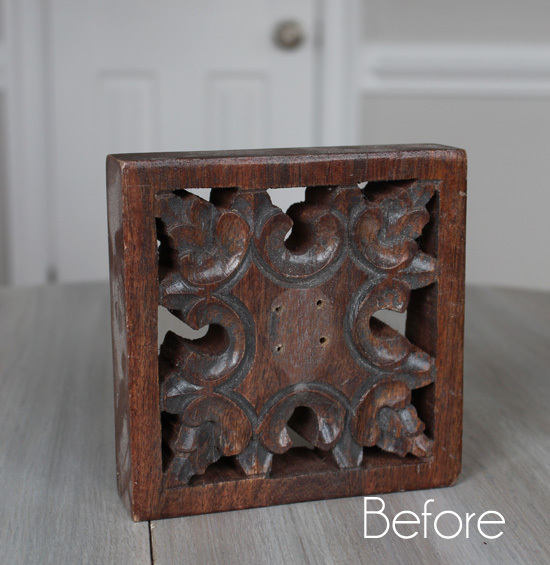 I sanded here and there and sealed with the clear matte sealer as well. I did paint the one I kept as well, but never took a before photo…oopsie! I thought it was kind of ugly at the time, but brought it home anyway. I actually kind of love it here on my coffee table! I swear white paint makes just about anything look better! Although nothing super creative happened here today, I hope it was still fun to see these smalls become something a little prettier! I’ll be back with eight more simple makeovers on Tuesday! UPDATE: See them all HERE now! The goodness just keeps coming. Love everything you did. I also have smalls to work on and these gave me an idea how to do it. Have a good weekend. Never under estimate or doubt your ideas for your blog! I Love what you bring to us every time. You may think that we don’t want to see how you transform the smalls, but I for one do. I think that when you show us things like todays post, it inspires us. It is a small project, but certainly achievable by most. I just wanted you to know that I love all your post, big and small projects, they are all beautiful and inspiring to me. Can hardly wait till Thursday to see the rest. Thanks for your great ideas every week!! Christy you have taken some forlorn pieces and turned them into charmers! You know I adore the white paint. 🙂 I am now inspired to take a small, very dark wooden cabinet which I may paint white. Have a wonderful weekend and may the smalls (and bigs) sell quickly. I, too, paint furniture and smalls and have a booth where I sell my wares. I am always disappointed at how long it takes me to sell the smalls. Mine are so very similar to yours. I love seeing what you do with the smalls. When I had my booth they were hard to come by because so many people here have booths. Love the white paint also. It makes everything look so fresh and new. I LOVED this post!!! I don’t think you should be afraid to post the smaller projects. 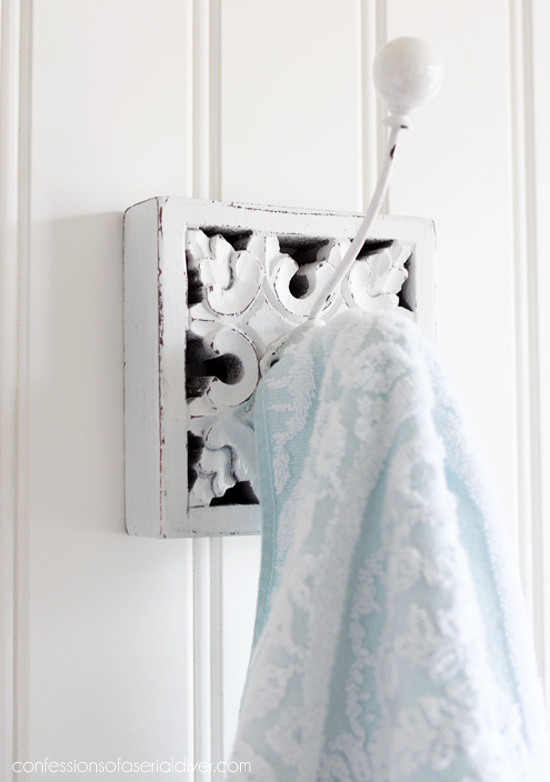 Some of us are new to the upcycling process and don’t always have the time or courage to tackle a piece of furniture. 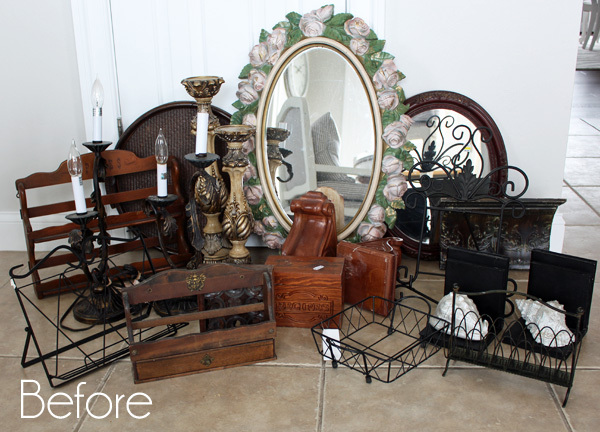 These smaller items give me ideas of what I can do with smaller “treasures” I find! That was great seeing all the smaller fun projects and how you transform them Thanks! Everything looks great! It’s amazing how paint can give sad pieces new life. I can’t believe you said “nothing creative happened here”! 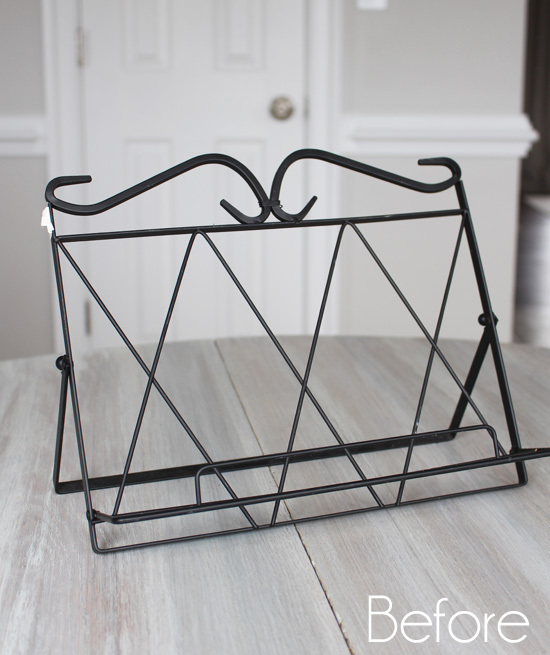 I despise spice racks that are intended to hang on the wall….the spice bottles always get greasy and dusty, and unless all your spice bottles match, they never look good on display. I love that you turned it into a nail polish stand for the bathroom. That is super creative and looks great! Oh boy! What a difference, so inspiring! Dang girl! You rock. I enjoyed this post as much as anything. 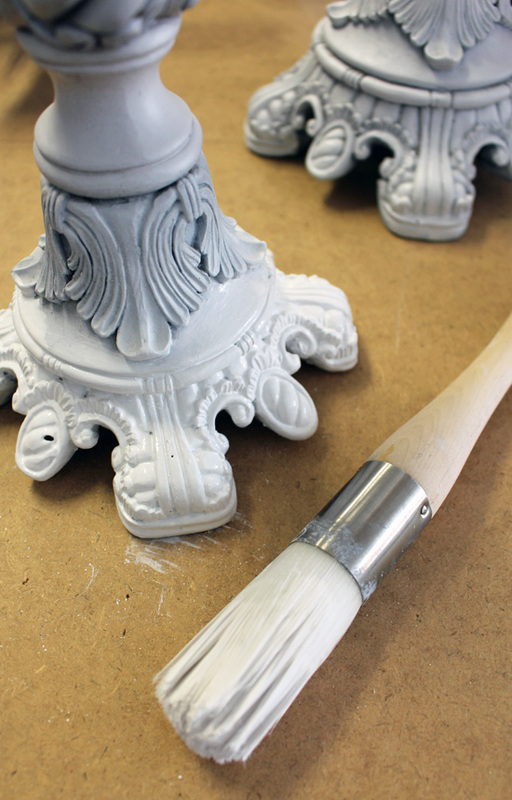 It is AMAZING what white paint and little work will do! Love it! So inspiring! 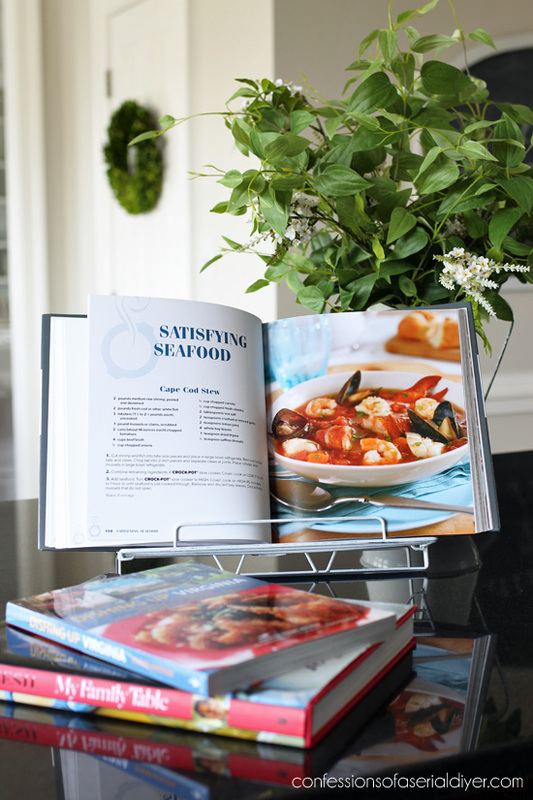 I can make things pretty but I truly admire your ability to make things pretty AND repurpose them into something useful. Thanks for sharing! I always finish reading your posts knowing a little more than when I began! The important phrase there is “I always finish your posts,” because I do. I usually skim the several others I subscribe to but I always read yours from start to finish, including all the links to previous projects, even though I know I’ve usually seen them before. Your blog looks great, too–clever and appealing design. Can’t say enough good things. Carry on! Christy, don’t underestimate your creativity! I love seeing the makeover of the smalls as much as the furniture. You inspire us with what you do, big or small, and help us to see the potential in an outdated item. 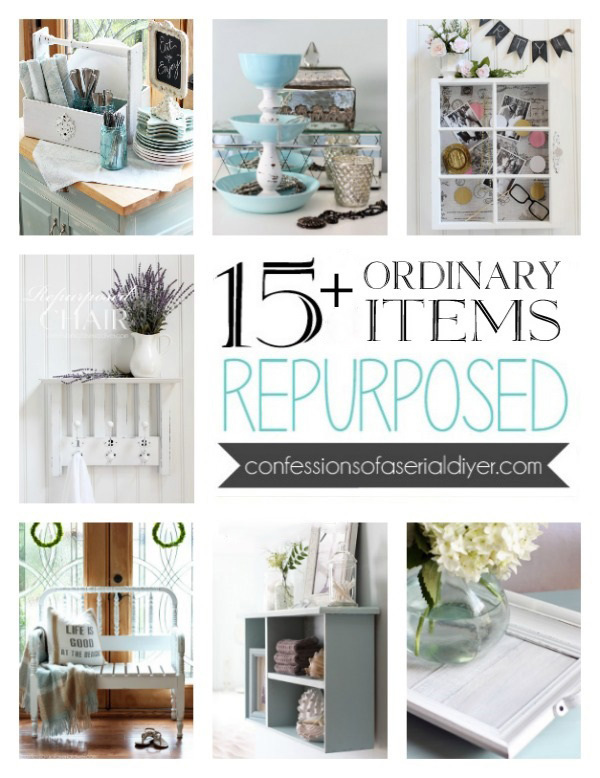 I am always encouraged by your makeovers and see ways to recycle or update items for my home. Thanks for your inspiration and I can’t wait to see the next post of smalls! Good luck with your sales for your booth. I’m thinking these items should go pretty fast! I love seeing the smalls for your booth! I love seeing your booth so I hope you will share a picture of that filled up! All of these are inspiring so please don’t feel like they aren’t worth sharing. WOW!! 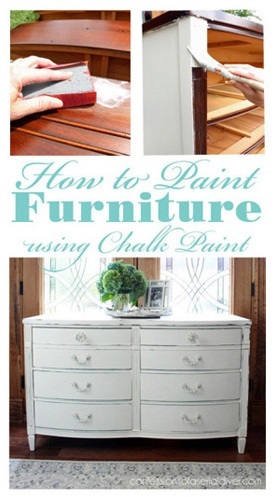 Never underestimate the power of white spray paint and chalk paint! Love them all! I do exact the same thing you do and I sometime keep them! 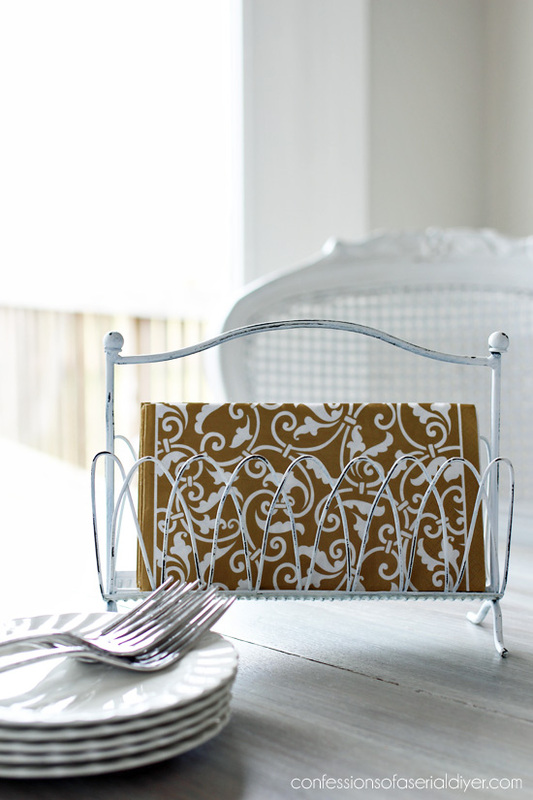 I love the cloth napkins “holder”, what was it for before? 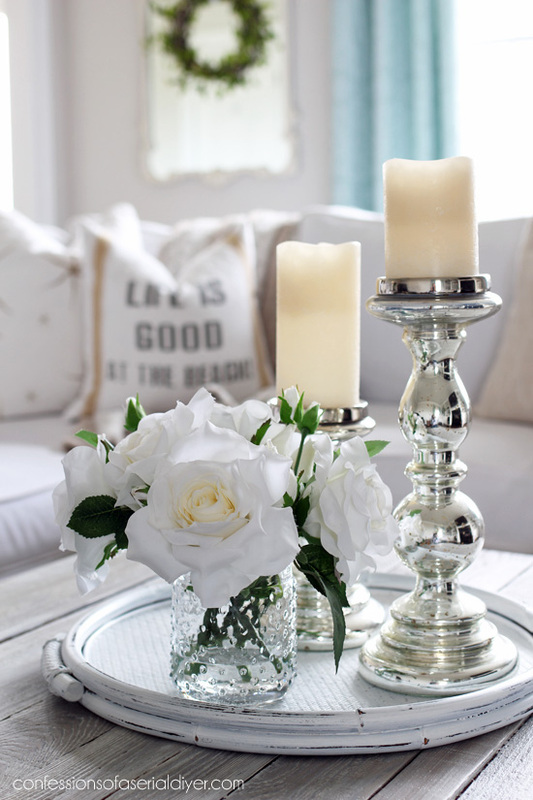 You do a beautiful job with anything and I love your blog! Thanks for sharing the Smalls!!! I’m just getting started and your information and inspiration is invaluable. Success with the small stuff gives me encouragement to tackle the biggies! I look forward to all of your posts. Best wishes to you!!! Actually, I love the smalls because I feel it is something I can tackle! I love when you combine a bunch of smalls that you have made-over. 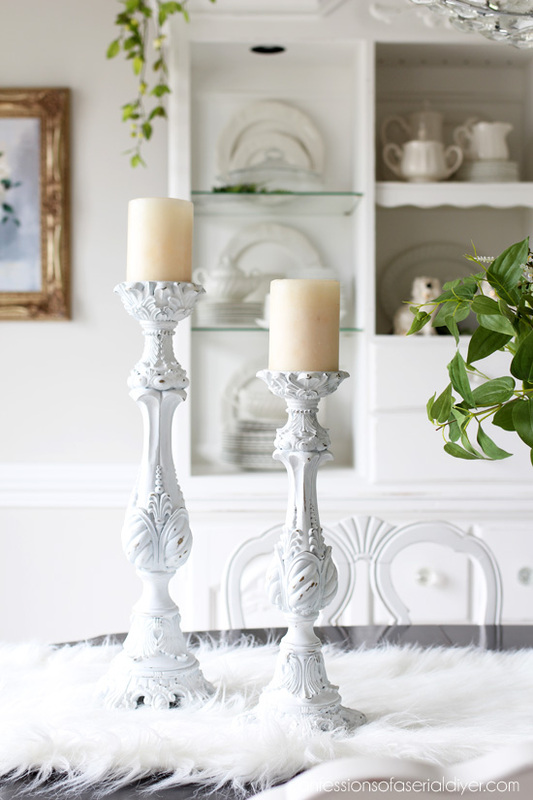 They make a big statement when decorating our homes. AND, they can always be changed or refreshed if needed as you have proven in the past. I sure wish I could see your booth in person but it would be a weekend trip since I live in Michigan. Maybe one day. 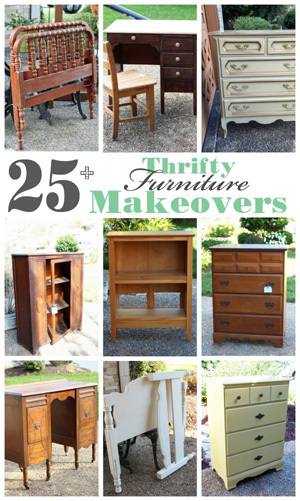 My favorite blogger projects are thrift store makeovers!! I do a lot of these because my workshop \garage isn’t big enough for furniture makeovers. Keep them coming! It’s always a pleasure to open your emails and see what magic you’ve done. Thanks for taking the time to pass along your beautiful creations. I really enjoyed this post, Christy. I find that transforming smalls gives me what I like to call project momentum. Meaning, if i see some accomplishments it gives me courage for the bigger stuff. Seeing your smalls transformed makes me want to get busy! I loved about all your “smalls.” I love your “vision” about pieces you can change and make beautiful. Wish I had your neat thrift shop! Go, girl! Wishing at least one item might have been painted something other than white. I LOVED LOVED LOVED your smalls post Christy! 😊 Especially the small spice rack turned nail polish holder!!! 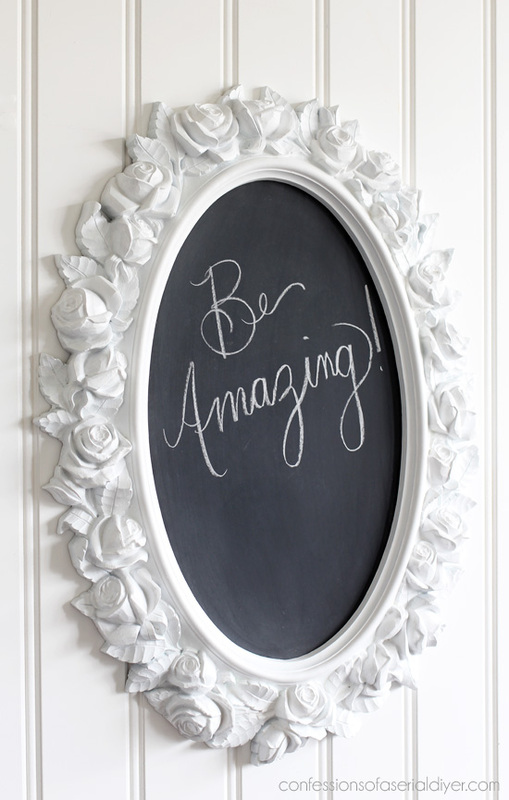 My favorite is the rose mirror-a simple but classy chalk board. This was a fun one! Maybe nothing grand or shocking happened with any of these little guys, but I sometimes forget (OK, a lot of times!) that a few minutes with some paint can make me love something again, not just tolerate it. I can also be an absolute chicken about just doing it- I mean, what if I ruin it!? (Duh, more paint!) Great inspiration here! Everything came out so pretty! Just like magic, haha! They all look so pretty in their new white color! 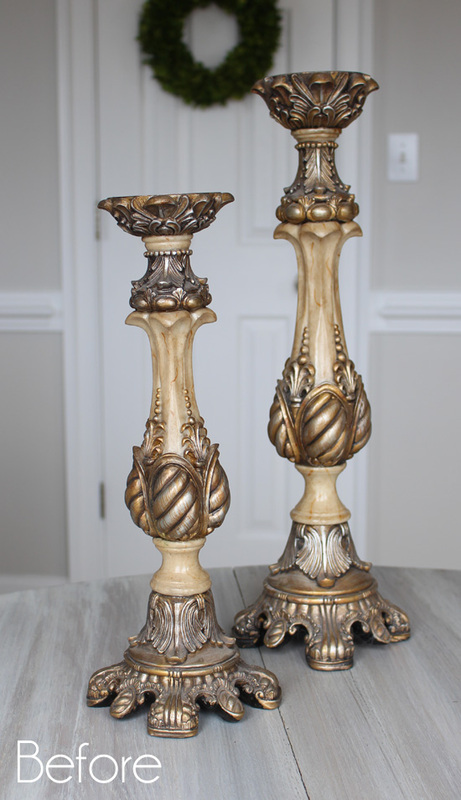 You have inspired me to get going on some old gold candle stick lamps I have hanging around. Thanks for the detailed instructions! 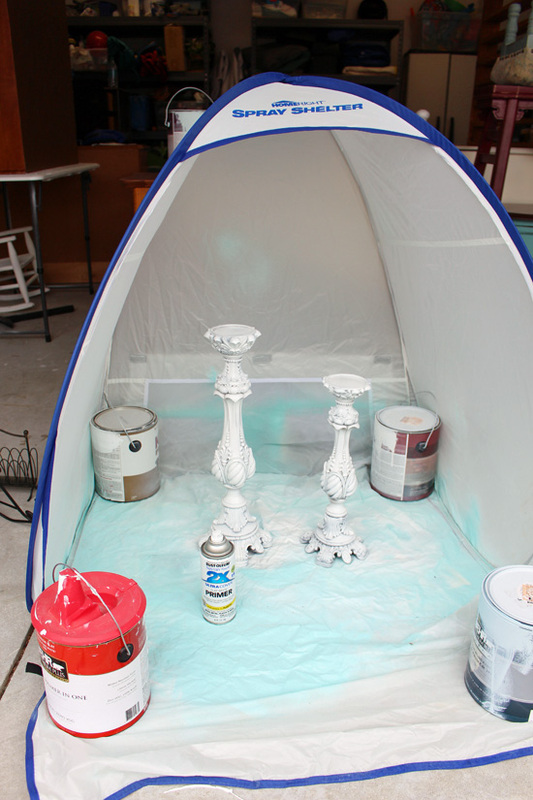 As soon as it warms up around here I will be out in the garage with the spray paint and chalk paint! I love your blog! I, too, have a couple of booths here in the mountains of Western North Carolina. Smalls keep me in business. Your ideas are great! You are so so so so creative! Thanks for the inspiration! Thank you Christy for showing all the smalls that you made so pretty. I have many, so now i can pull from my stash thats been sitting around so long. I love all the furniture, but showing the small stuff is good to see. Keep posting, we all love it. Your’re a power house, Christy! Love seeing stalls,inspires me. Always look forward to your blog.Thanks for sharing. I loved this post! I too need smalls in my booth and this gave me inspiration and incentive. Thanks! Agree with everyone. Show us all your makeovers, big or small! They all turned out great! It might not seem like much to you, Christy, but I love seeing the transformations. You have such an eye for the hidden potential in these sad pieces. Paint is miraculous! Each of those things is so much better now and I predict they’re not going to last long in the booth. This was great Christy! I have some smalls too and I keep thinking I have to transform them into something spectacular for my Etsy shop and you’ve shown me that all they need is a little paint to make them look great. I especially liked the idea of you having a link to your spray booth. That’s a decent price and I could certainly use something like that since my sons have currently taken over my garage. I plan on taking it back though.😉 There is no reason why we can’t share it since it is a 4-car garage. 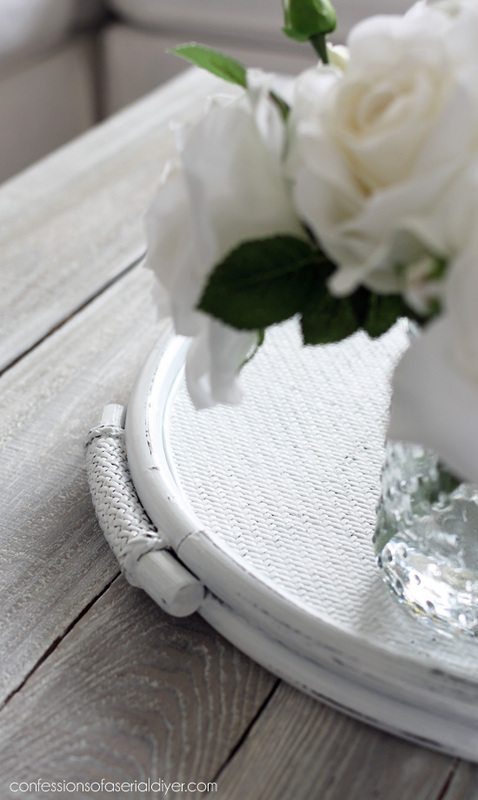 I really liked your TJ Maxx find and the tray! People must think we are nuts when we take things that are so outdated, but little do they know what you or I are going to transform them into! Please don’t hesitate to show us ALL of your creations – big and small!! You have given me more “light bulb moments” than I can count! I love how you can see the possibilities in every trashure you pick up and then show us how easy it is to transform them. Thank you so much for sharing them! Great great projects Christy!! You’re making me want to get motivated for Spring!! So fun!!! It’s like having 1/2 of March Madness in one day! Such inspiration, as usual! Thanks, Christy! Christy, everything you touch comes out beautiful! You never cease to amaze! I love it all and can’t wait to see the rest. My comment was going to be, “I swear, just everything looks better painted white.” But you already said that so I’ll just say I can’t wait to get some white paint and start slinging it around and see what I’ve got that I can improve! I am adding to the many comments that said they loved this post! I have been slowly redoing my house (and furniture) thanks to YOUR inspiration. 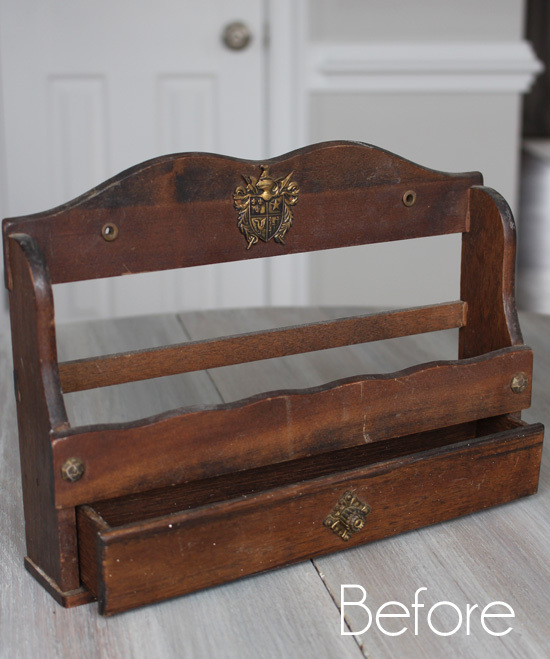 I’ve started repurposing some items with paint thanks to posts like these! The furniture is amazing but PLEASE share the smalls too!! Thy are just as fun! 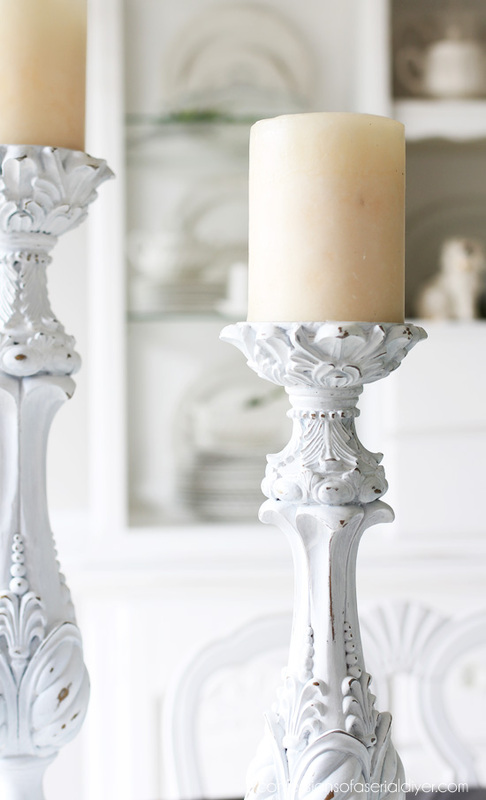 Those candlesticks?? 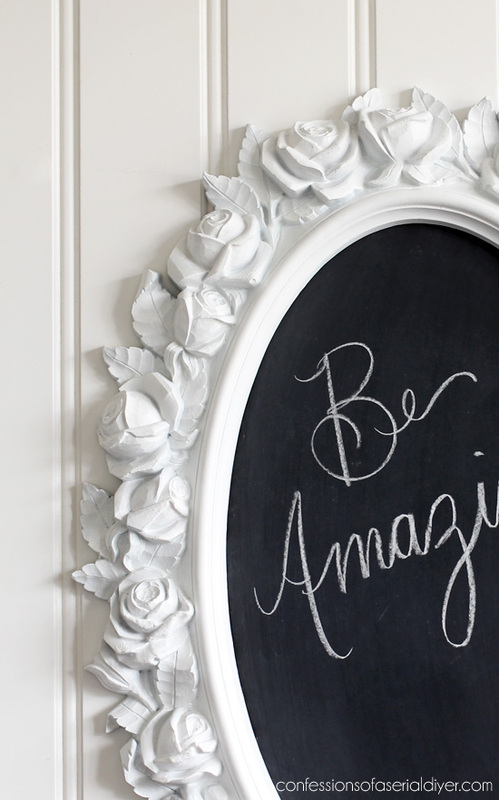 And mirror-turned-chalkboard?? I can do that! I love all of these, and I think you need to keep sharing these smaller items, because I see things like this at thrift stores all the time. And I need ideas for how to redo them! Thank you! 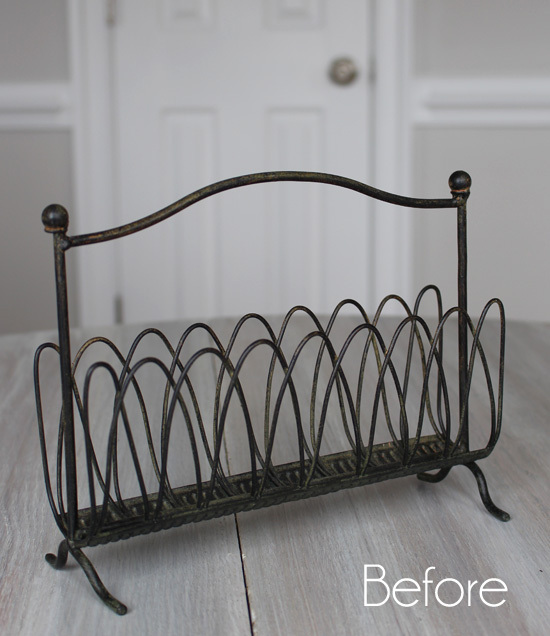 Christy, thanks so much for sharing your small projects as well as your larger ones. I always look forward to seeing what you’ve created next. You’ve been inspiring to me to take the plunge into painting projects. Large or small they all look great with a facelift, Keep the enjoyment coming. Bless you! All of these peices ar totally gorgeous, and I love tem all. I especially love the transformation of each peice. Thanks for sharing. You are the queen of taking scraps and turning them into something great! Thanks Christy this was a great post! 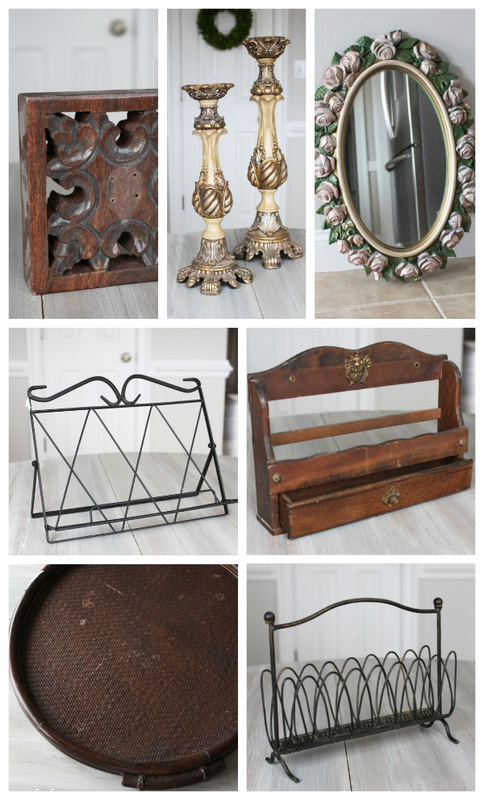 These items are very important and I love keeping an eye out for “junk” that can be turned back into something beautiful with just a little effort! I love how you think and its very helpful the ideas you give, thanks so much!! Two comments: I like the spray tent you use. 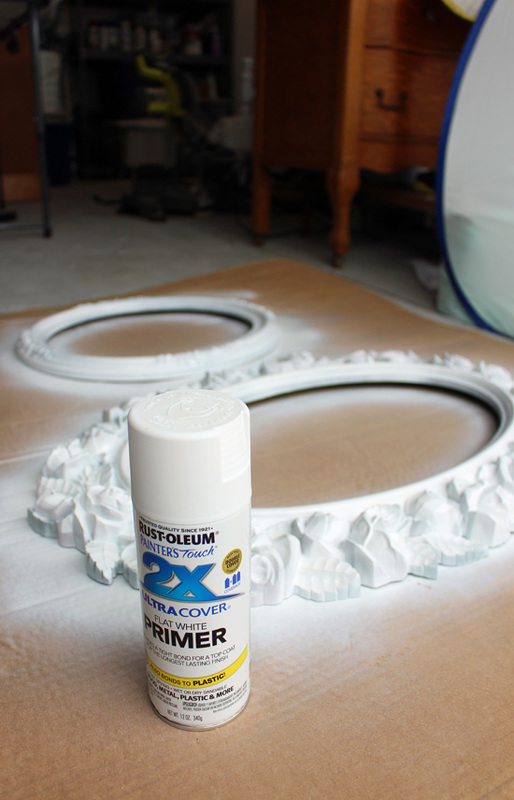 If you will put one of those cheap little lazy susan things you find in kitchen cupboards, under your smalls when you spray, you can easily turn them and spray them without waiting! Second comment: have you ever run into bedbugs when buying furniture to re-do? I took an upholstery class and someone brought in a footstool that was infested. I was so freaked out, I left with my chair and never went back. They are horrible, and it’s complex and expensive to eradicate them. I love fixing up old pieces to resell, but I am so on the alert after that. Any experiences?